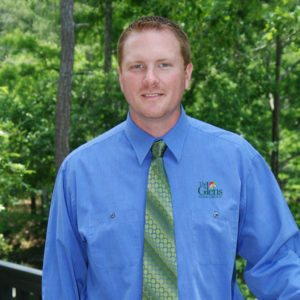 Ryan McCarty of the Glens Golf Group has been named the Grand Strand golf employee of the year by the Myrtle Beach Area Golf Course Owners Association. McCarty is the general manager of Shaftesbury Glen Golf & Fish Club and Shaftesbury Suites, and director of marketing and public relations for The Glens Group, which manages and markets four courses: Shaftesbury Glen, Heather Glen Golf Links, Glen Dornoch Waterway Golf Links and Possum Trot Golf Club. 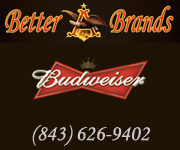 McCarty oversees day-to-day operations in golf, merchandising, food and beverage, event planning and staffing. He shared GM duties at both Shaftesbury Glen and Wicked Stick Golf Links for a few years before Wicked Stick closed last August. During a renovation project at Shaftesbury this past winter that included drainage improvements and the addition of waste areas on several holes, McCarty worked daily on the upgrades with the maintenance crew. 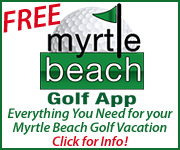 He is involved with numerous groups aimed at improving the Myrtle Beach golf industry, serving on the boards of marketing cooperative Myrtle Beach Golf Holiday, Golf Holiday marketing and the T-Links booking engine. 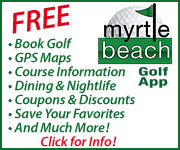 He has also been selected to head the 15-course Best of Myrtle Beach Golf Co-op. Ryan McCarty, 37, grew up in the Pittsburgh area and worked at a couple courses there before moving to Myrtle Beach. He was hired as an assistant at Heather Glen in 2000 and got the head pro job there for a short time before moving to Shaftesbury, where he was first the head pro before being promoted to GM about six years ago. 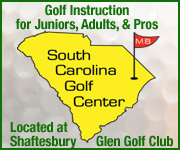 Shaftesbury is the host course for the Conway High boys and girls golf teams, and the club is home to the South Carolina Golf Center and S.C. Junior Golf Academy.